Film, Stage and Television actress. Catalina Saavedra Pérez (born January 8, 1968) is a Chilean film, stage and television actress. She is better known to international audiences as the title character in the 2009 film The Maid, for which she received several awards and nominations. Saavedra started acting lessons at the age of ten, prompted by her mother's hiring of a private theater arts teacher in Valparaíso, Chile. Years later, her love for acting led her to deepen her studies at the "Escuela de Teatro Imagen" in Santiago, Chile, and later in Barcelona, when she began to study experimental theatre. Saavedra's first professional theatre performances were in roles in plays such as "El Despertar" (1991–1997), "Pervertimientos y Otros Gestos Para Nada" (1993) and "La noche de la Iguana" (The Night of the Iguana) (1994), and in a Café-chantant called "TV cable 90" (1992). On film, Saavedra's first appearances were in short films, such as "El Bidón" and "Volando Voy" (directed by Miguel Littin). Saavedra's has performed various roles in a several soap operas, sitcoms and TV shows on Chilean and German television. 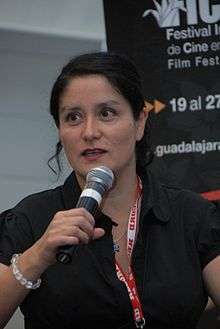 International recognition for Saavedra came in 2009, for her leading role as Raquel in the 2009 Chilean film The Maid (2009 film). It was released on August 13, 2009 in Chile and October 16, 2009 in the United States, grossing over $400,000 in the first few weeks in theaters with only 18 copies circulating, turning into one of the most successful Chilean films in the United States. The film ended its theatrical run in the United States with a gross of $576,608. Her role was praised by specialized press and critics around the world, bestowing her many acting awards, including Best Actress at the Sundance Film Festival, Torino Film Festival, Huelva Film Festival, Biarritz Film Festival, Cartagena Film Festival and Miami Film Festival, a breakthrough award at the Gotham Independent Film Awards and a Satellite Awards nomination. In late 2009, she appeared as a possible nominee for the most important film awards, Academy Awards and Golden Globes Awards along with the film The Maid for International Movie. Volando Voy Luchita Short film directed by Miguel Littín, twice nominated for an Academy Award. 2009 The Dancer and the Thief Madre Ángel Short appearance. Directed by Fernando Trueba, Academy Award winner for Best Foreign Language Film with Belle Époque. The Maid Raquel Sundance Film Festival Award-winning. Nominated for "The 67th Annual Golden Globe Awards" consideration honoring 2009 achievements. Amor a domicilio, la comedia (1996) as Brígida. Geografía del deseo (2004), as Marisa. Los Galindo (2005), season 1, episode 1. Loco por ti (2005), season 4, episode 2. Los simuladores (2005), season 1, episodes 1, 3, 4 and 8. La Nany (2005), season 1, episodes 8 and 76. La otra cara del espejo (2006), season 1, episode 1. Urgencias (2006), season 2, episode 9. Huaiquimán y Tolosa (2006), season 1, episode 8. Los Venegas (2006 - 2011) as Josefina. Hasta en las mejores familias (1994) as Jessica. Amor a Domicilio (1995) as Brígida. Adrenalina (1996) as Raquel Trujillo. Playa Salvaje (1997) as Susana. Fuera de Control (1999) as Pamela Duarte. Sabor a Ti (2000) as Virginia Solano. Piel Canela (2001) as Talula Vargas. Buen Partido (2002) as Rita. Pervertimientos y Otros Gestos Para Nada (1993). La noche de la Iguana (1994). Muerte de un Funcionario Público (1995). Ojos Rotos (2001–2002) (permormed in Chile and at the International Hispanic Theatre Festival of Miami). Firmas para el Amor (2001–2002), Assistant director. El lugar de la misericordia (2006), Assistant director. 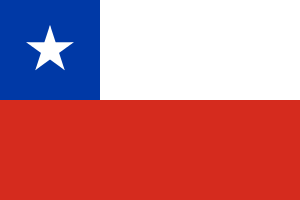 Las Brutas (2007) (performed in Chile and in a Tour to Europe). Diatriba de la victoria (2009). Equívoca Fuga de Señorita Apretando un Pañuelo de encaje sobre su Pecho (2009). ↑ Durbin, K. 2009. Dazzling Performances to Gild the Résumés. The New York Times. Movies section.